Ocean baths are a great alternative to the open ocean, and are especially good for families with young children, elderly people, and for those who enjoy swimming laps. Here in Sydney we're fortunate to have many beautiful ocean baths, from historic ones built in the early 1900s to those that are more modern. Where are your favourite ocean baths? What facilities do they offer, and are they easy to get to? 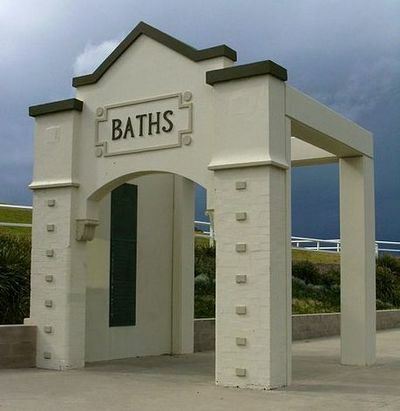 I love the Coogee Women's Baths for women and children. Sounds great...will have to check that out when it gets warmer. Coogee Beach - McIver Ladies Baths - serene. Manly comes to mind too, otherwise there is a great one up in Newcastle. I've been to the Newcastle ones as my mother lives up that way, but haven't been to the others. Will definitely check those out when the weather gets a bit warmer! The Dawn Fraser pool is pretty cool in that retro way. I also like Redleaf, if you count that - it's like stepping back in time. Have you ever lived in the Australian outback?